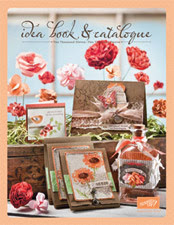 If you click on the cover above you will be able to see the lovely catalogue in PDF form. If you would like your own real-life copy to spend hours pouring over with numerous coffees and biccies then send me an email and I will post it straight to your mailbox for just $15. I don't want to think about how many hours I have already spent studying every little detail of the catalogue's loveliness- it's been worth every minute. Yesterday I placed my first BIG order from the catalogue and I can't wait to show you all the goodies I ordered and the things I'm going to create with them as soon as that big brown box arrives on my doorstep. I do have a few things I have created so far with some of my sneak peek products and promise to post them as soon as I've taken photos and edited them. Click HERE to find more details on what is inside this fabulous 'Mini Starter Kit' worth $310. Wow!!! Also dont forget that if you already have some of the things in this kit or want something different you can swap them for something of equal value. If you find the 'Mini Starter Kit' is too small for you and you want more goodies to get you started on your Stampin' Up! Demonstrator adventure you can purchase the FULL STARTER KIT for just $231.20 which is a HUGE 20% off its usual price of $289. Woweeee!!! This kit appears on p169 of the new catalogue and the product in this kit is worth $610. 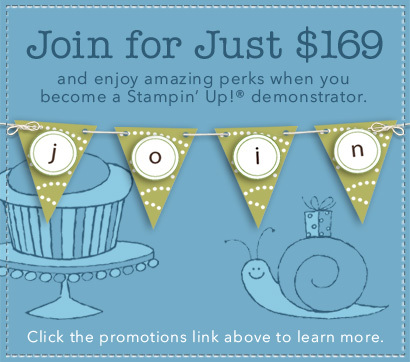 For more details on all the wonderful benefits and fantastic things that come along with being a Stampin' Up! Demonstrator click on the Join My Team tab at the top of my page. Please contact me for more info and with any questions about joining my stamping team. Back soon with some of my latest creations.